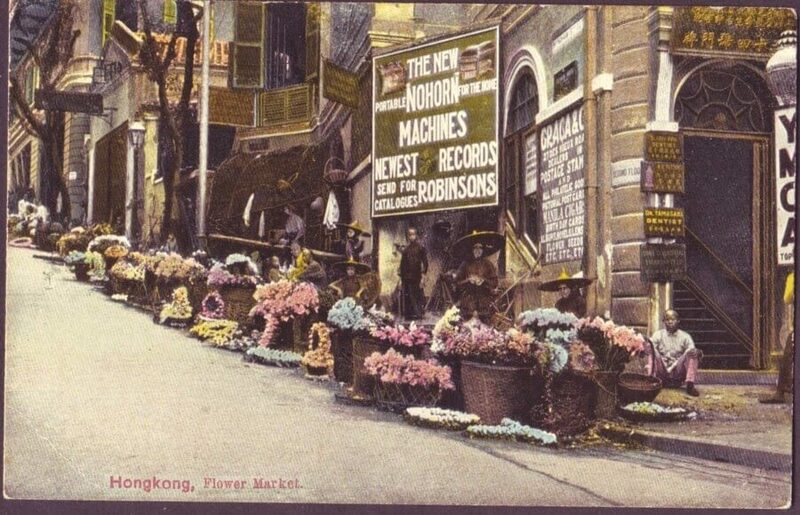 Can anyone provide further information about these aspects of the music industry in Hong Kong? 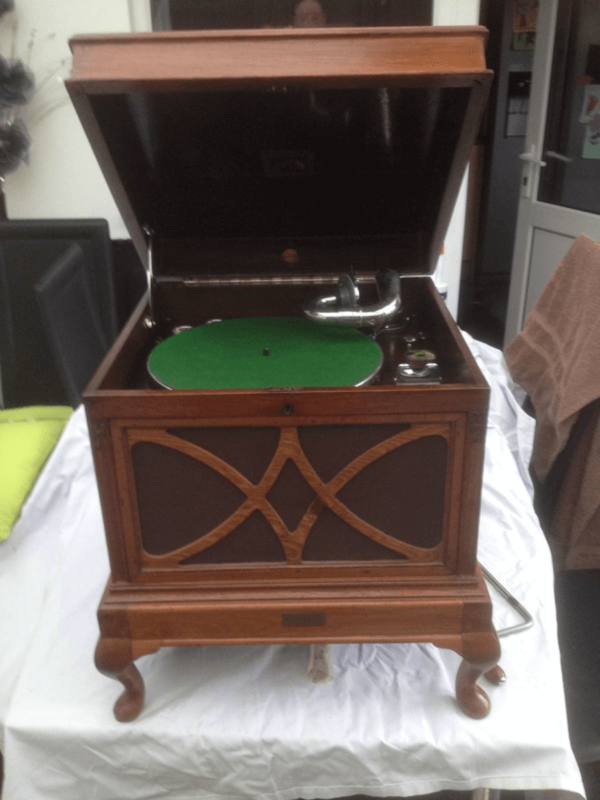 Chunny Bhamra: Gramophones and Phonographs were never really made in HK but were assembled here with metal parts being imported from Europe and wooden cabinets usually made in India and Malaysia. Cabinets were made especially for the “Tropical” countries using Teak as it was the one wood that suited the climate- hot and humid; it also was less prone to pests. 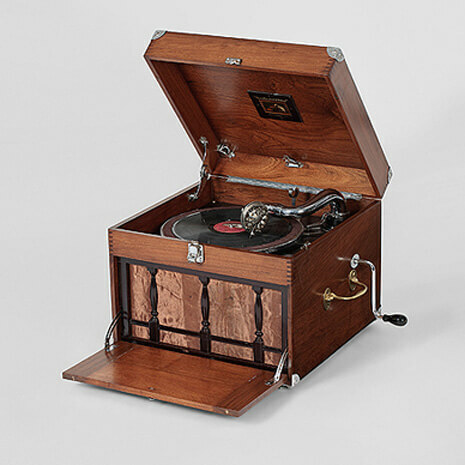 These gramophones are referred to as the “Colonial” models and are very rare. They are hardly ever found in Asia. Most surviving examples were usually taken back to England by civil servants and military personnel. These machines were made by HMV, Columbia, Pathe and German Odeon. Bitter rivals in the West but in Hong Kong these companies changed hands and amalgamated regularly just to survive. The main revenue of these companies came from record sales. 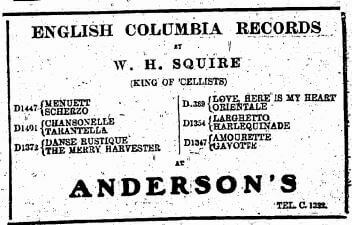 The record masters were shipped around the world and pressed locally on shellac. “Pathé Records (Chinese: 百代唱片; pinyin: Bǎidài Chàngpiān; Cantonese Yale: Baakdoih Cheungpín) is the first major record company in Shanghai, China and later Hong Kong. 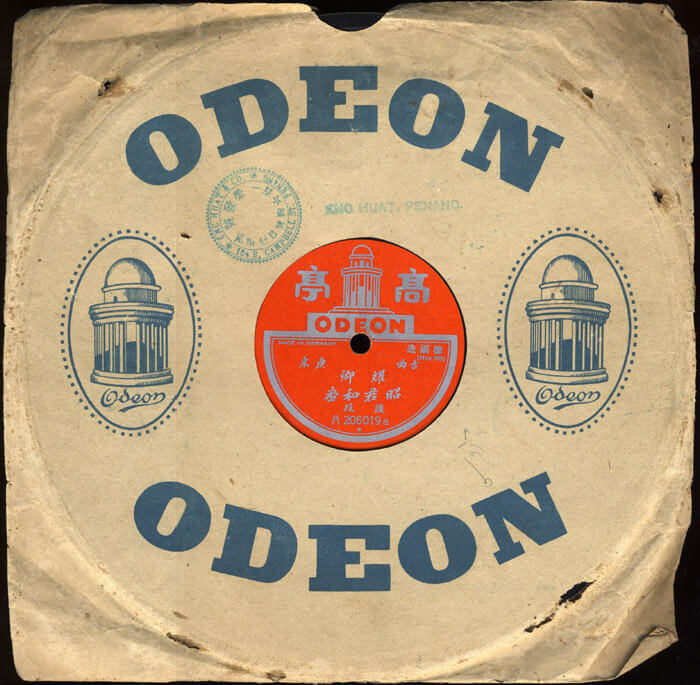 The company was a subsidiary of the Pathé Records conglomerate. 1. 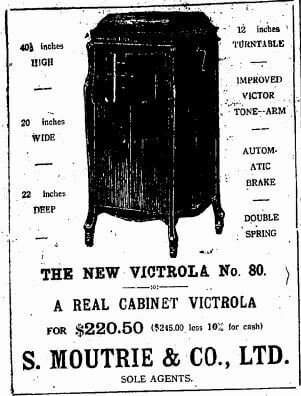 HMV 130A A rare Calcutta factory example. Similar ones were made in HK. 2. HMV 113 was exclusively made for export to the colonies. The teak case could be locked and even had a handle. 3. 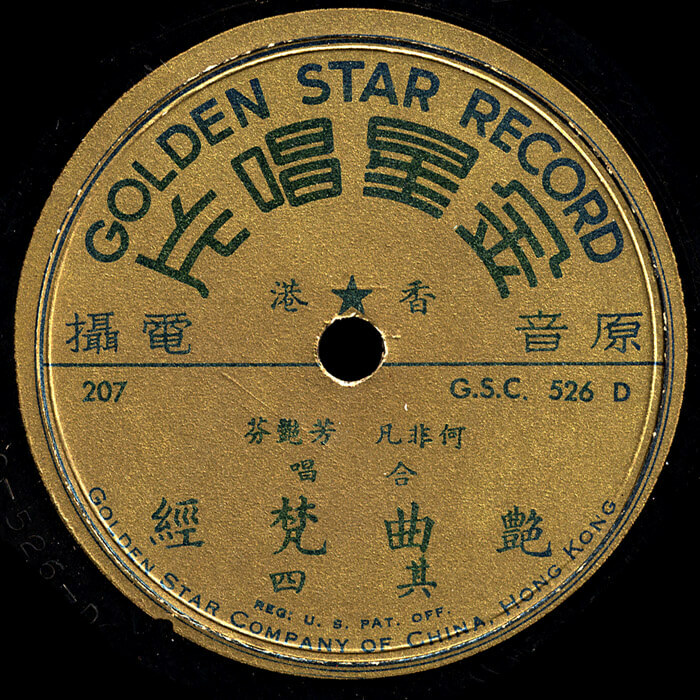 Gold Star Records was just one of many small companies recording, producing and distributing in Hong Kong. 4. 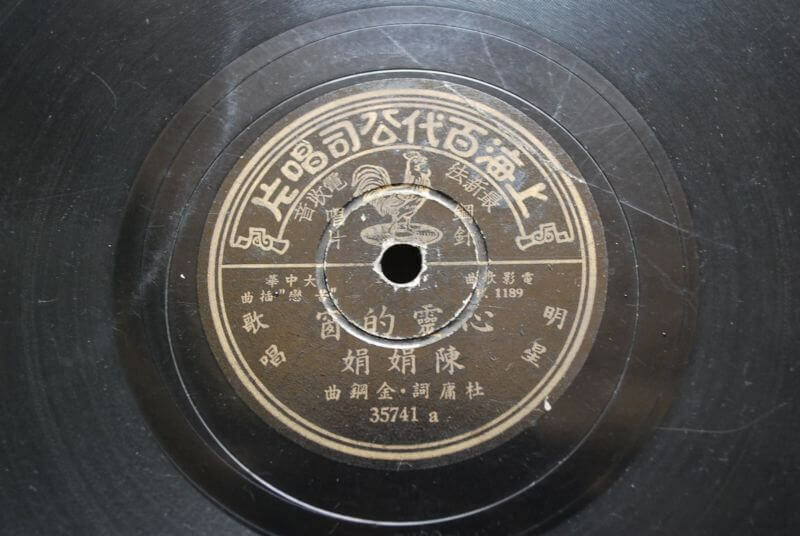 Recorded in Hong Kong. Made in Germany and sold in Penang. 5. A Chinese Pathe record – probably the largest foreign record company in China and Hong Kong. 6. 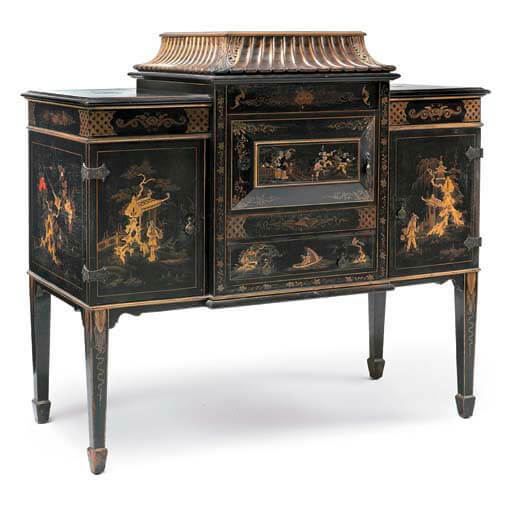 Many gramophone makers in th 1930s also made Chinoiserie style cabinets for their gramophones. These were popular with expats and rich Chinese. They were usually hand painted on plaster reliefs. 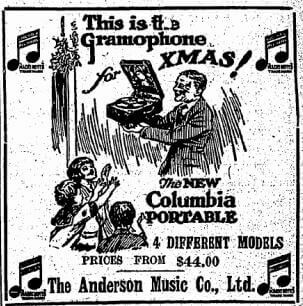 This one is an Algraphone from the 1920s. This article was first posted on 10th May 2015.
http://gramophone.hk/ Chunny Bhamra is a long time resident of Hong Kong. He has been collecting antique gramophones, 78 recordings and cylinder phonograph players for the last 30 years. His record collection alone stands at a staggering 30,000 recordings. 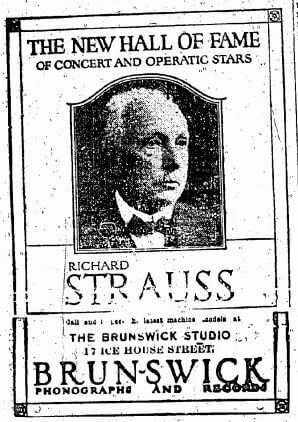 His private museum holds the largest collection in the world of the best and largest acoustic gramophones ever made.